What is Fascia? - Discover The Fascial System Of The Body - A Lost System Holding the Key To A Pain-Free Life! key to a pain-free life! Wondering, what is fascia? Great question...fascia forms a dense web of super tough connective tissue from head to toe, supporting, stabilizing and cushioning. Because fascia surrounds every cell in the body, it is like the rudder of a ship - affecting the entire system clear down to the cellular level. Because the fascial system is one continuous, head to toe structure, restrictions can affect any system of the body i.e. metabolic, neurological, muscular or cellular. Elastin - I call this the "bounce right back" fibers. The elastic component is what you stretch by doing regular stretching exercises for 10-30 seconds or so. Anything stretch short of 2-3 minutes is better than nothing but does not produce lasting results - thus it bounces right back. 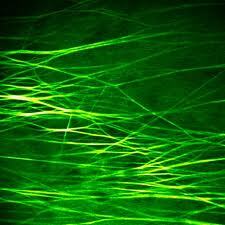 Collagen - These fibers can make all the difference in your therapy! Super tough fibers coiled around the elastic fibers; give the body support. They also give clients and therapists a lot of patience as we wait for the elastin barrier to release so we can begin to remodel and stretch the collagen fibers. THIS is where lasting relief from pain is hidden. Ground Substance - Our natural cushion; a gelatin like substance transporting metabolic material throughout the body. This is the gelatin pool that baths each cell. As we solidify, the cells can't communicate, the fascia tightens down and pain and disease follow. Ground substance allows a 6 year old to fall off his bike and jump right back up but a 76 year old to fall and break a hip. Over time the fascia shortens, thickens and becomes less gelatinous, tugging on anything in its path with up to 2000 pounds per square inch of pressure. This leads to pain, dis-ease and disability and never shows up on modern diagnostic imaging tools such as x-rays, MRI's or CAT scans. Such a vital and overlooked source of pain and dis-ease - truly the root of many problems! 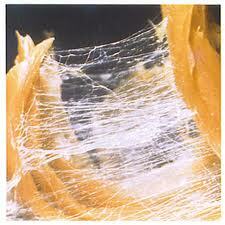 Our existance could be a better one if doctor's were asking, "What is fascia?" It's never too late to find a MyoFascial Release therapist and begin your journey to health and ability!